The brightest fall event is returning to Calgary in 2016! 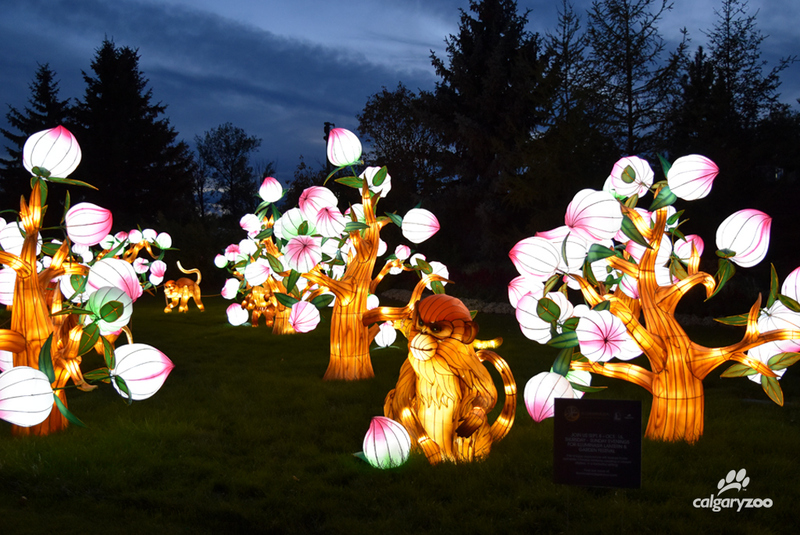 The Calgary Zoo’s ILLUMINASIA Lantern & Garden Festival presented by Sinopec Canada is back and bigger than before- and we’re not just talking the size of the lanterns! For those looking to get lost in the glow of a beautiful walk in the gardens, or aiming to take in the brand new stage show, there is something for everyone who likes a night out at the zoo. Here is your ‘how-to’ guide to enjoying ILLUMINASIA. Come join us for a six week celebration of culture this fall. The festival runs weekly on Thursdays – Sundays from 7 p.m. to 10 p.m.
September 8 – sunset is at 8:03 p.m.
September 22 – sunset is at 7:33 p.m.
October 6 – sunset is at 7:02 p.m. Thank you lantern sponsors Lawson Lundell! Favourite lanterns from the 2015 show return, along with many new additions. For those looking for an adult experience of the festival, we’ve got you covered. Travel from spring to winter as our seasonal-themed lanterns take you through the year. Walk the entire event and take in all the lanterns, while taking pit stops to participate in fun traditional programming – both of the complimentary and paid variety. Then stop by the mainstage behind Grazers to cap of the night with a front row seat to an original stage show. 8:30 p.m: Adult Experience Entertainment Show – “The Journey of the Monkey Princess”. Thank you to sponsor TD Canada! ILLUMINASIA has something for all ages, including the little zoo fans. There are a wide variety of different activities to enjoy including hands-on crafts, and opportunities to learn about lantern making and hear traditional music from Asia. Different countries will be highlighted during the festival including China, Vietnam, Japan and Korea. An earlier version of the stage show plays for families at 7:30 p.m., and while both shows can be enjoyed by all, the 8:30 p.m. show was crafted for the older crowd. Expect both to have ninja battles, martial arts, dancing, music, acrobatics and a classic tale of good versus evil. 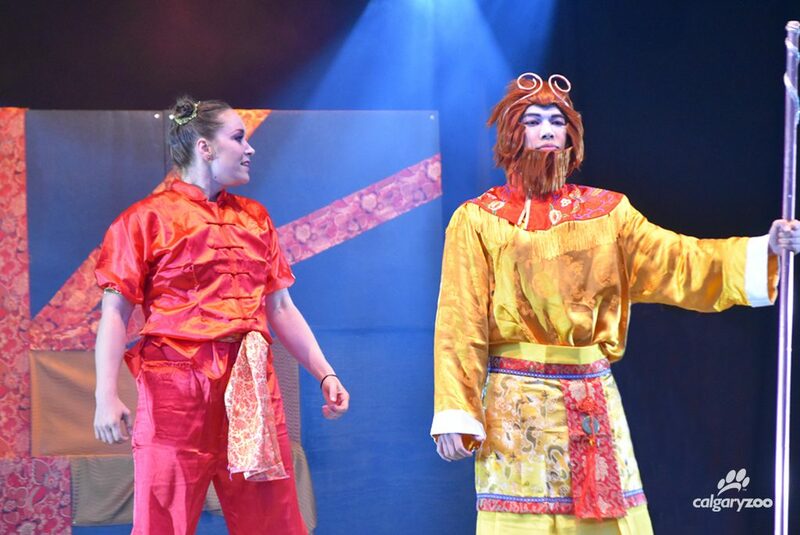 7:30 p.m: Family Experience Entertainment Show – “The Journey of the Monkey Princess”. Thank you to sponsor TD Canada! This year ILLUMINASIA is offering an original stage show twice a night- the The Journey of the Monkey Princess! Looking to expand your skills? The adult activities include creating a unique Chinese floral, a Vietnamese lotus bloom, practicing a Japanese woodblock print, or trying the tricky Korean Maedeup knotwork. The little ones will enjoy trying out new crafts such as painting Chinese lanterns, creating a Japanese carp kite, Vietnamese dragon puppet, or Korean Fan. If crafting isn’t something your family would enjoy, they can enjoy taking home their name- written in Asian calligraphy (languages depend on which night visiting). Like to fly by the seat of your pants? Indulge in our complimentary programming! Chat with interpreters to learn more about the featured Asian cultures, and find out how traditional Chinese lanterns are constructed. Zoo visitors will enjoy ongoing musical performances, garden and animal programs, and an art gallery! Want to learn about ILLUMINASIA’s sustainability initiatives? Help us be a more responsible event! Hungry? Eat at Grazers restaurant, or grab a quick bite in one of our concession locations. Download the event map before your visit and light up your night with the Calgary Zoo!